The deadly train accident in Philadelphia could have been prevented if the railroad had been able to monitor the engineer. 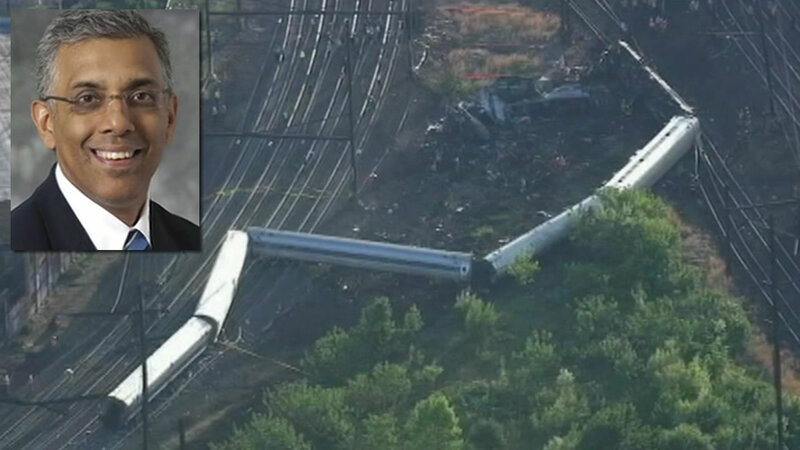 SAN MATEO, Calif. (KGO) -- A federal investigator says the Amtrak train that derailed in Philadelphia sped up from 70 to over 100-miles-an-hour in the minute before it hit a sharp curve and had a deadly accident. The speed limit on the curve is just 50-miles-an-hour. The engineer has agreed to speak with investigators, but they want to check his phone to see if he was using it before the crash. President Barack Obama blasted Congress Thursday for cutting funding to Amtrak. "We are a growing country with a growing economy. We need to invest in the infrastructure that keeps us that way. And not just when something bad happens, like a bridge collapse or a train derailment," Obama said. An eighth victim was pulled from the wreckage on Thursday. The train accident could have been preventable if the railroad had been able to monitor or override the engineer running it. Such systems exist and are in the process of being installed nationwide. In the Bay Area Caltrain will go online with one before the end of the year. There are lights along railroads that are part of a tried and true system that guarantees safety on the tracks by dividing them into blocks. The future, however, the system is going to be considerably more high-tech. They call it positive train control and it has been in development for decades. Caltrain deputy CEO Chuck Harvey spoke about the safety system that, most likely, would have prevented this week's Amtrak disaster in Philadelphia. When that train derailed, it had been going almost twice the speed limit. Positive train control would not have allowed such an apparent error, and will soon become reality on the peninsula. "Basically what it does is it can override the engineer..." Caltrain director of safety Jim Casteneda said. A former Walnut Creek resident has been identified as one of the victims of an Amtrak train that derailed in Philadelphia on Tuesday. Just this week, SamTrans crews were laying fiber optic cable along portions of track. Positive train control relies on sensors, radio frequencies and GPS to coordinate computers on the train with a central control system. It sets speed limits for every section of track. It monitors the engineers running trains which interact with the system along a given route. "If the engineer is not paying attention, he won't be able to go through one of the signals or everything else, the system will read that and give him a notification and if he doesn't react within a certain amount of time the system will automatically slow the train down or stop the train," Casteneda said. Congress has mandated railroads to have these systems in place by the end of the year, but that's not so easily done when railroads, like Amtrak, do not own most of the rail lines on which they operate. Caltrain says it will get the project finished on time. "We're lucky here in that we control and our railroad and many railroads are tenants on other people's property and they reside in areas where the communication systems are much more difficult to do," Casteneda said. Translated... the best way to run a railroad is to not borrow it. Click here for full coverage on the deadly derailment.